Nowadays, Yoga practice has been flourished throughout the world with a private yoga instructor or with group learning. An experienced private yoga instructor tries to give a better result to the clients. Group learning may not be able to carry all the students parallelly. Group class runs observing the overall students in the class. The capacity of clients to do yoga and other health complications of the different clients can be an issue that the group learning may be unfruitful. Students need step by step learning, which can be carried out only by a private yoga instructor. Many of the students need help to practice Asana with proper yoga props and correct alignment in posture and such help will be very rare in group learning. A single instructor cannot do all these things for the entire group. However, in private class, the instructor is focused on the clients tailoring the sequence and experience to his/her needs. So, the progress of the yoga students will be faster than in group learning. Private classes can bring improvements to one’s physical and mental health. It helps one acquire personal yoga goals. Beginners may feel overwhelmed for few classes in typical settings. It may be difficult to keep up before it becomes easier to get into different posses with respect to flexibility. The private lesson helps beginners to avoid overwhelmed and uncomfortable feelings. The student can learn each move personally from a private yoga instructor and can improve immediately which makes easier to get started. To manage time for the class is important. If the clients cannot spare time as per the schedule of the class, clients can maintain time as per his favorable schedule. So, a private class can include even the busiest person. A private class can manage personal plans and scheduling conflicts. As a client can take the class at any time of day or night relying on social obligations or work, yoga practice becomes more flexible in a private setting. The students can get better instructions to perform advanced poses. So ability in the progress in pose will be easier. With proper attention to the posture and its alignment, a student will be greatly benefited. Clients even can learn various modifications in the postures to make more accessible. In addition to this private class allows one to take their yoga practice in a depth level. A group practice might not offer the level of more advanced practitioners to realize the depth of posture. It gives better skills, fewer complications and the greater level of confidence. Thus private yoga allows preceding one to next level. An instructor can observe personally to the clients so that instructor can properly guide in a correct alignment of posture and techniques of pranayama, bandha, kriyas etc. There are other different activities which require proper instruction of the teacher. The instructor can teach yogic activities step by step to the clients as per his/her ability. An instructor will have a chance to observe the client and teach what client favors. Health concern and injuries can make yoga class ineffective and impracticable. A single instructor cannot cope with all the students regarding their health and injuries in the group learning. It will be impossible to focus each individual as per their need and ensure them that the poses will not further injury or strain. Some cases, like pregnancy, blood pressure, diabetes, or heart diseases may need special instruction for the practice. The clients can get the better environment to learn Yoga with respect to their health issues. Students can get better opportunity to get back into yoga if they have got any injury. A private yoga instructor can work around the health issues and avoid the further problems. So, it seems ideal to join a private yoga class. The instructor can spent sufficient time to improve the alignment and other related practices for the clients. If they are doing incorrectly, private yoga instructor can help to perform correctly. If a client is unable to perform particular asana, then the instructor can help to make him perform using yoga props until the client gets used to for the pose. The instructor even can help his client using other different techniques. Practicing yoga with private yoga instructor allows the students to make an intention to work on a specific pose and gradually or each week able to practice more advanced poses. 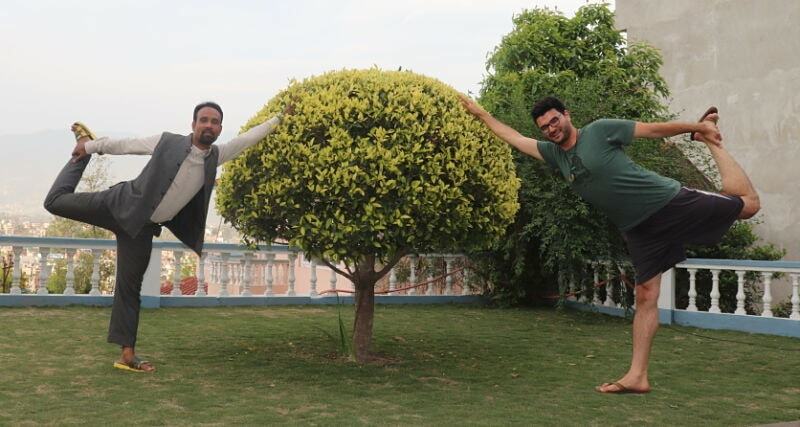 One can learn the entire difficult poses with the help of private yoga instructor. A client can get the class exactly in a particular way as he needs from a private yoga instructor. It is not recommended to practice yoga at home without professional instruction because it may lead to accidental injuries due to lack of proper guidance. But private class makes it possible to create appropriate yoga practice at home. The right private yoga instructor can give you a tool which you can use outside the class. The tool may be useful throughout life. All could get the instruction like how to breathe longer, sit upright, stand taller, stretch properly before exercise etc. But the important thing is that a private yoga instructor can give you the opportunity to aid you to insight within yourself at a different level. This helps you to go deeper to the level where the soul enlightens also help you shine that effluence outward for others to see. A private yoga teacher guides you even by sharing his background history. You can also easily share your history to the instructor, due to which the instructor can teach yoga for you in a better way as per your requirements. In group class this thing is challenging. After knowing about the teacher, you can cope with yoga in a better way, your level of practice promotes. You can understand how to tackle different obstacles that come across the yoga path and proceed forward despite of unfavorable situations.